Any advert published within this publication is accepted on the assumption that it complies with the Trade Descriptions Act. Northern Print Distribution Ltd reserve the right to refuse (without giving any reason) any application for space within the publication. 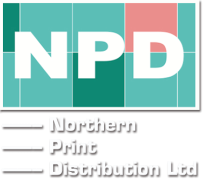 Northern Print Distribution Ltd accept no liability for entries omitted or any errors in an entry. Payment must be received for the full amount with your completed application form. Should insufficient advertising be raised, the publishers reserve the right to withdraw the leaflet and return costs to the advertisers. Entry text must be supplied by the entry date specified. Failure to supply text by this date may result in only the advertiser’s name and address being printed. Costs incurred in making amendments over and above one amend included in with the cost will be charged to the advertiser.